Are You Nervous of Attending a Martial Arts Class? Doing anything new for the first time can make you feel nervous. Some people take to new things better than others, positively seeking them out for much of the time. Yet suppose you don’t fall into this bracket? You might want to start learning martial arts or take a kickfit class for example, but you simply can’t get past the nerves you feel at getting to that first class. This is actually quite a common scenario. The best way to get around it is to attend the venue where you’ll be taking the class ahead of time, so you know what to expect. Have a look round if you can. Oftentimes staff are used to seeing people who are nervous about taking a class in something they have never done before. They’ll know how to put you at ease. Indeed this is something that will be a common theme in your first class. Remember – everyone who is attending the class will be new too. You can bet most of them were probably nervous about going yet they knew once they got there they would be fine. You will probably feel the same. 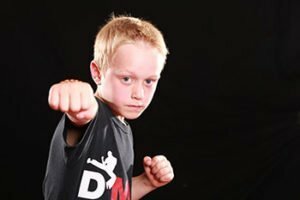 The first class will typically involve an introduction to martial arts so you have some idea of what to expect in the future too. You might learn a few basic things during this period but you won’t be practising anything too involved. Getting through that first class is half the battle. Once you’ve done that you might even find you start looking forward to the second and subsequent classes as well. You’ll learn more and develop further as you go along, which is always a good thing. So if you want to try something new, why not prepare yourself for your first class today?